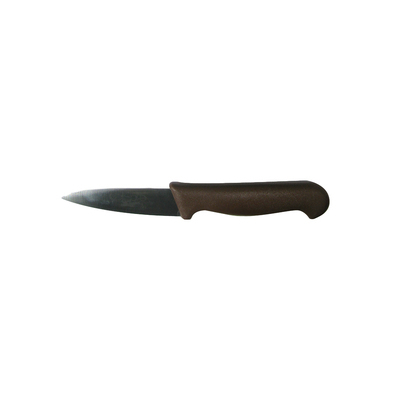 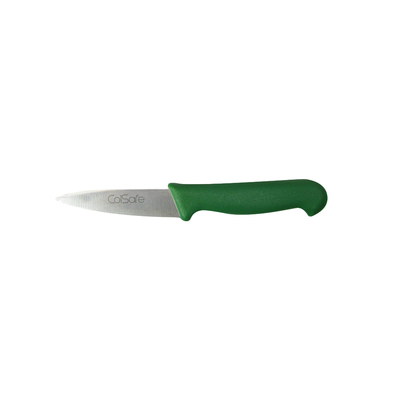 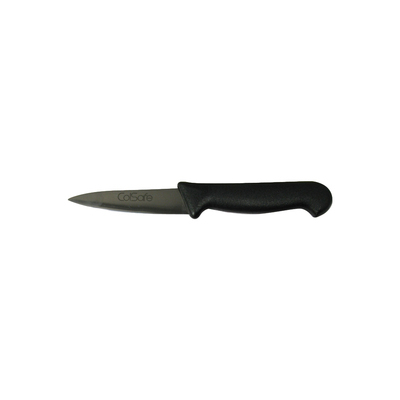 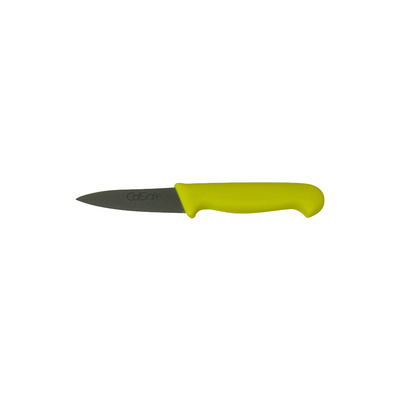 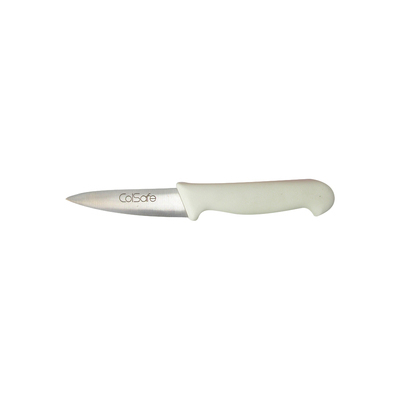 Home » Catering Supplies » Paring Knife 3"
From businesses that focus on catering through to office and nursery kitchens, this Paring Knife is sure to come in handy. 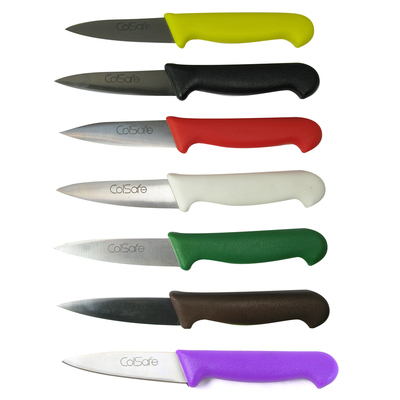 Designed specifically for the preparation of food, each one comes with a colour coded handle to help prevent cross-contamination during cooking. 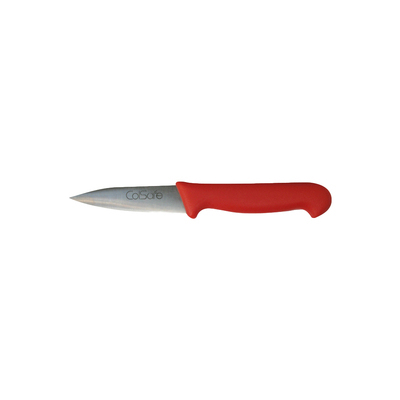 The ergonomic handle is comfortable for extended use while a high-quality stainless steel 3" blade comes sharpened to cut through everything from tough root vegetables to raw and cooked meats. 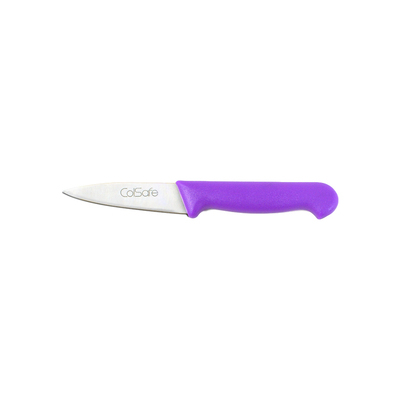 For all your catering needs, here at Gompels we also stock our Bread Knife 8", our Vegetable Knife 4" and even colour coded Chopping Boards to help support the cross contamination control regime in your workplace.